© Self-Insurers’ Publishing Corp. All rights reserved. A WINDING ROAD | FEATURE 95 and sharing the same benefits adviser, these two small and midsize employers charted the same course to save on employee health care costs. After years of fully insured plans, they briefly transitioned to a medical stop-loss captive program before embracing self-insurance for the long haul – despite being told their groups were too small to pursue that route. Along the way, there was a sense about hedging their bets. A famous quote by actor Wesley Snipes in “Passenger 57” was invoked to describe the crossroads faced by NorthBay, which runs group retreats and other school-funded programs for sixth graders as well as other elementary and middle school students. RemembeR this logo foR all things self-funded! biometric screening scores, as well as free Fitbits in 2015. Also as part of its health-conscious culture, St. John Properties offers free vitamins and toothbrushes, as well as physical therapy sessions lasting 30 minutes and an on-site gym. Beyond these incentives, which have been well received, the company occasionally is reminded that the right health plan design could actually save a life. For example, warning signs surfaced for at least one employee who was then able to make some adjustments Actual to reduce his high blood pressure, such as losing 40 pounds. Carefirst & PWC Trend There also was a light-hearted, weightloss contest during which employees had to appear in a bikini. Another employee wasn’t so lucky. He suffered a stroke at a young age before biometric screenings were required, which Mallonee believes could have prevented the unfortunate event. Unlike St. John Properties, NorthBay shied away from biometric $288,701 screening because of employee $274,305 pushback. It also wasn’t deemed all that beneficial based on the group’s current health status. spend per employee per year is going down 30% to 40% when everybody else’s rates or spend is going up... They do a lot of things to enhance the employee experience at their company and it’s paying dividends.” Indeed, premiums haven’t risen in four years. “That’s huge,” Mallonee exclaims, noting that the average per employee per year cost is now down to about $7,000. “We’ve been really, really, really happy being self-insured,” she says. $301,000 in 2015 with stand-alone self-insurance. The per employee per year cost has dipped from $8,928 in 2011 to $6,515 in 2015. NorthBay’s net savings over traditional insurance is estimated at $914,121 between 2012 and 2015 based on a conservative annual increase of 6.5% that reflected past rate hikes. The future also appears to be bright. “Even our worstcase scenario in 2016 of $507,358 would be $89,000 better than what traditional health care would have quoted us,” Gerhard explains. He’s satisfied that annual increases are at least in the reasonable range of 3% to 5%. And while NorthBay’s administrative services only arrangement with Cigna and its third-party administrator reflect price increases, he’s nevertheless comfortable “dealing with a known player in the health market” that is welcomed by many doctors and hospitals. Becker is bullish about the future of self-insurance, particularly as it trickles down market to smaller employers. “We’re putting employees in a position to know who the best doctors are, where the fairly priced facilities are,” he says. “If they choose to use that, we’ll give them 100% coverage instead of 90% coverage. We’ll also give them a $1,000 deductible credit.” The result is lower readmission rates and claims costs, along with higher quality of care, he adds. ■ Bruce Shutan is a Los Angeles freelance writer who has closely covered the employee beneﬁts industry for 28 years. any small to mid-size companies and the captive insurance industry are still assessing more restrictive rules on small captives operating under IRS 831(b) status contained in hurried 2015 “tax extender” legislation passed by Congress just before the end of last year. in discussions with Congress that resulted in a succession of three documents suggesting bill language or modifications. After nearly a year of close consultation with Congress by SIIA and its allies in support of enterprise risk captives (ERC), the captive industry was surprised by bill language that largely set aside common-sense modifications proposed by SIIA, business organizations and regulators. The bill language affecting ERCs had never been circulated or seen publicly before being released just days before a scheduled vote, despite numerous conversations and meeting with policymakers and their staff. Having been part of the process throughout and commenting on the outcome, Ryan Work, SIIA’s Senior Director of Government Relations, noted, “We have made progress and moved the needle substantially from where we began last February, particularly in overcoming some of the proposed ERC restrictions that were much more onerous. In addition, we were able to discuss and educate policymakers and their staff on captive issues that most of them had never encountered.” Work said that effort established an industry presence and legislators’ awareness that will continue to gain ground and pay dividends into the future. While these proposed modifications helped to educate policymakers and move the conversation forward, Congress nevertheless proposed further sweeping restrictions with what many believe will cause unintended consequences. The new law provides an increase of allowable annual captive premium tax deductions from $1.2 million to $2.2 million but will provide major challenges to captive formation and operation in its limitations on familial ownership, new asset valuation reporting and other definitional changes. Enterprise Risk Captive Task Force Members Jarid Beck Risk Management Associates Bill Buechler Crowe Horwath Doug Butler MIJS John Capasso Captive Planning Associates Kevin Doherty Nelson Mullins Park Eddy Active Captive Management Upon learning of the tax extender bill threat last month, SIIA immediately mobilized the ERC Task Force (listed on the right) to begin pyramiding contacts to members of Congress from themselves, clients, colleagues, state captive associations and state insurance regulators. “Our members responded with immediate response and firepower,” Work said. He guided the grassroots network from SIIA’s Washington DC office and provided daily updates, briefing documents and strategic planning. I know that SIIA and its allies are being heard in Washington. I’m very impressed with how quickly SIIA hit the ground running and I’m very impressed with the greater industry in aggressively dealing with the legislative threat in an organized and civil manner. As an example of how support for ERCs has broadened, Simpson said he attended an on-line webinar on the tax extender bill by the American Bar Association that drew the largest attendance of any ABA event he had witnessed. SIIA’s quick response in attempting pushback to the bill language was enabled by advance planning, in Simpson’s view. “We started the ERC group just over a year ago, before a significant government threat against small captives surfaced,” he said. “If we hadn’t created that structure to advocate for the industry, we couldn’t have responded in time to head off some of the worst legislative threats.” At one time, draft bill language would have prohibited ERCs from accessing reinsurance. SIIA intends to continue this year its interface with Congress in support of ERCs and has already set meetings with key Members and staff to consider more flexible modifications to the rules. ■ Further information will be available from Ryan Work in SIIA’s Washington ofﬁce at rwork@siia.org or (202) 595-0642. American Fidelity Assurance Company; Catherine Bresler of The Trustmark Companies and Brackemyre. TDI participants included Doug Danzeiser, Deputy Commissioner, Life, Health and Licensing. This was an informal meeting to help TDI understand how stop-loss insurance works to support the self-insured plans of Texas employers, Brackemyre noted. TDI has stated that the draft regulations are a work-in-progress that could be shaped in part by meeting with the self-insurance industry, employers and other interested parties. As noted in a previous Self-Insurer article, SIIA is concerned that some employers would lose their health plans and others would see stop-loss premium increases if the early draft of regulations were adopted. Particularly troubling is a possible small business minimum aggregate of $4,000 per enrollee. SIIA members report that that requirement is far too expensive for small businesses and SIIA has consistently urged the elimination of the minimum products standards from the draft. when – or even if – the rewritten regulations would be adopted. One important issue raised by the industry was the question of whether stop-loss insurance would be regulated as health insurance or casualty insurance. “This is the classic debate that we seem to encounter in every state,” SIIA board member Ritchie commented. “The point of confusion for regulators appears to be that stop-loss acts like liability insurance but operates in the health world. “While regulators mistakenly approach our product in the context of health insurance, we cannot operate as health insurance,” he said. SIIA has long made the distinction that stop-loss insurance pays no claims for health care to members of plans and so cannot be categorized as health insurance. Rather, it covers liabilities that plan sponsors experience in amounts above a predetermined level. A preponderance of federal and state courts have agreed with SIIA on this point and no court has ever defined stop-loss insurance as health insurance. SIIA will continue to participate in the development of Texas regulations. Copies of the current draft and SIIA’s written comments are available from Adam Brackemyre in SIIA’s Washington DC ofﬁce, (202) 463-8161 or abrackemyre@siia.org. a decision to be made by the Federal Housing Finance Agency (FHFA) whether or not to exclude captives, as well as legislation that will bar the agency from doing so. Congress has several legislative measures before them that could affect captive formation and regulation. In speaking with a number of captive professionals, from regulators to attorneys to managers, the consensus is that conventional captives, pure captives and long-standing captives, will likely be untouched by many of the issues likely to come up in 2016. However, niche captives and small captives, will be bearing the brunt of any inquiries or legislative changes. Small captives and group captives are most likely to feel the effects of the soft market. keep premiums low. When traditional insurers can offer low premiums, captive programs can lose their appeal. TO A TRUE PARTNER IN STOP-LOSS. The beneﬁts of smart coverage, when it matters most. Sun Life is #1 in stop-loss for a reason:* our unparalleled expertise and innovative beneﬁts and services help protect self-funded employers. Our new benchmarking tools arm you with customized data in an appealing, client-ready format. Coupled with our cost-containment products, you can tailor the perfect solution for each client. Put our expertise to work—call your Sun Life rep today. Do you aspire to be a published author? Do you have any stories or opinions on the self-insurance and alternative risk transfer industry that you would like to share with your peers? Doherty, as part of TCIA, has been working with Vermont Captive Insurance Association and several other captive organizations to get this amendment enacted. The problem getting it through Congress will be a matter of perception, continued Doherty. NRRA was a completely separate bill that was tacked on to Dodd Frank and is now perceived as a law that was part of the larger financial reform bill. There is a lot of politics regarding Dodd Frank, on both sides of the aisle. Whether any legislative action on these bills comes this year is a matter of wild speculation. As Myers said, “As it’s an election year, Congress’s main job will be making sure incumbents get reelected, so legislation that could affect the insurance industry is less likely to be passed.” ■ Karrie Hyatt is a freelance writer who has been involved in the captive industry for more than ten years. More information about her work can be found at: www.karriehyatt.com. We would like to invite you to share your insight and submit an article to The Self-Insurer! SIIA’s official magazine is distributed in a digital and print format to reach over 10,000 readers around the world. 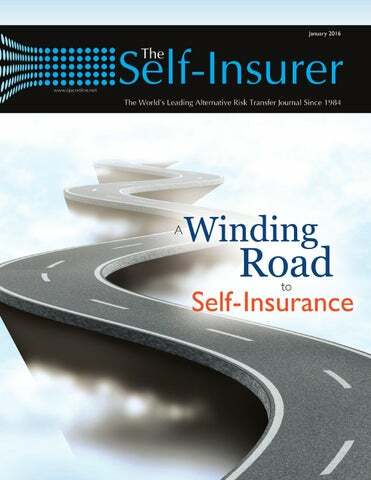 The Self-Insurer has been delivering information to the self-insurance/alternative risk transfer community since 1984 to self-funded employers, TPAs, MGUs, reinsurers, stoploss carriers, PBMs and other service providers. The Self-Insurer also has advertising opportunities available. Please contact Shane Byars at sbyars@sipconline.net for advertising information. s is the case in most American neighborhoods, a new neighbor might move in every few years. Place yourself in this familiar scenario: A new neighbor has moved in right across the street from your home. You spy through your front window and see kids, dogs, an assortment of nice furniture exiting the moving van and most importantly a really, really nice car parked in the driveway. Now you are interested. Protocol dictates that you immediately schedule a barbeque so that you might meet your new neighbor. If the stars align, you will somehow compel a conversation about that new, beautiful car parked in the driveway across the street. FUDUCIARY LIABILITY | FEATURE Luckily for you, all goes according to plan. The kids play, the spouses compare vacation stories and the dogs romp through the green grass chasing butterflies. It really is a picturesque scene. You manage to force an awkward conversational segway and suddenly find yourself learning about “the car.” The gas mileage is unheard of, the safety features are top of the line, it vacuums itself, the wiper blades never need to be changed, it can parallel park for you, the paint simply does not show dirt, ever and its purchase price is insanely cheaper than any car you have ever owned. You do not understand how this can be – you figure there must be a catch – and then your neighbor mentions “The Downside.” “Well,” he says, “you do need to know that all maintenance for this car must be done by you. There are no mechanics or shops around that work on these cars, period. If you buy one, you better make sure you know what you’re doing. It’s a lot of responsibility. I hope you’re ready for that.” Sound familiar... ? experience where fiduciary liability concerns for the plan-sponsor are extremely limited and oftentimes nonexistent. Like our neighbor’s new car and its maintenance needs, self-funding comes with a unique set of responsibilities that a plan-sponsor may not be equipped to handle. The fiduciary is solely responsible for the health plan’s administration, it will be expected to exercise discretion regarding claims decisions and the fiduciary is accountable for the handling of plan assets. Not to mention that ERISA §404 mandates that all of this must be done in the sole interests of plan participants and beneficiaries, commonly known as the “duty of undivided loyalty.” §404 further obligates that this undivided loyalty must be executed with the care, skill, prudence and diligence that a person acting in a similar capacity and familiar with such matters, would employ in a similar situation. Part of the problem, of course, is that a fiduciary that is new to the self-funding game may not be familiar with what a person acting in a similar capacity would do in a similar situation. The key phrase is “familiar with such matters,” and some fiduciaries are, in fact, not familiar with such matters. The most daunting and serious of fiduciary liabilities comes when a plan administrator is faced with analyzing a final, internal appeal of a denied medical claim. The fiduciary absolutely must understand the claim and ultimately must decide how the plan’s governing plan document should be applied to that claim appeal – and of course ERISA §404(a)(1)(D) requires a plan fiduciary to strictly follow the terms of that plan document. It is fair to say that the vast majority of self-funded plan administrators lack the qualifications necessary to understand a medical claim let alone properly apply language from a complicated plan document to that same claim. Plan sponsors (and/or administrators) make widgets – they do not adjudicate health claims, nor should they have to handle such a task. Consider a final appeal of a health claim hinging on a medical necessity determination. Is it fair, or right, or even ethical to expect the widget maker to exercise fiduciary discretion based on medical expertise? Consider the final appeal of a health claim that hinges on the interpretation of a plan document’s uniquely worded and complicated “Illegal Acts Exclusion.” Is it reasonable to expect the plan administrator to play the role of lawyerly wordsmith while dealing with the stress of a contentious final claim appeal? Obviously not. In addition, the unqualified plan administrator must not only juggle its duty to handle the responsibilities enumerated above, it must also sweat and worry about numerous penalties and consequences that may be realized, should the plan administrator fail to comply with any one of its vast array of fiduciary responsibilities. The risks to a plan fiduciary are numerous and the potential financial fallout is high. Here, then, is where our industry is faced with a unique and significant service gap regarding the transfer of fiduciary liability to a qualified entity. Multiply instances of this service gap by the growth of our industry and you can see the growing need that must be met. Most frightening in all of this is the fact that a plan fiduciary may end up being an individual, thus triggering personal liability for fiduciary breaches, pursuant to ERISA. Oftentimes family-owned companies, closelyheld enterprises, or even large, privately-held organizations will either intentionally or inadvertently name an owner, or a handful of high-level individuals, as plan fiduciaries. HEALTHCARE SAVINGS H.H.C. Group is a full-service health insurance consulting organization that alleviates the effects of rising healthcare costs for insurance payors by providing appropriate and reasonable prices through innovative services and customized solutions. SIIA’s International Conference provides a unique opportunity for attendees to learn how companies are utilizing self-insurance/alternative risk transfer strategies on a global basis. The conference will also highlight self-insurance/ ART business opportunities in key international markets. Participation is expected from countries all over the world. The educational focus for this event will be to address the interests of plan sponsors, in addition to third party administrators and stop-loss entities. This forum delivers high quality educational content of interest to executives involved with the establishment, management and/or support of self-insured group health plans. In addition to the educational program, the event will feature multiple unique opportunities. Self-Insured Taft-Hartley Plan Executive Forum Taft-Hartley plans refer to the multi-employer pension plans collectively bargained by a union and a group of employers, usually in related industries. Taft-Hartley plans are governed by a trust, half of whose trustees are appointed by the employers and half by the union. This retirement plan model has enabled tens of thousands of small and medium-sized businesses to provide workers with the traditional deﬁned beneﬁt pensions that used to be standard among larger employers, but have now virtually disappeared in the non-unionized private sector. SIIA’s Annual Self-Insured Workers’ Compensation Executive Forum is the country’s premier association sponsored conference dedicated to self-insured Workers’ Compensation employers and group funds. In addition to a strong educational program focusing on such topics as analytics, excess insurance, wellness initiatives and risk management strategies, this event will offer tremendous networking opportunities that are speciﬁcally designed to help you strengthen your business relationships within the self-insured/alternative risk transfer industry. SIIA’s National Educational Conference & Expo is the world’s largest event dedicated exclusively to the self-insurance/alternative risk transfer industry. Registrants will enjoy a cutting-edge educational program combined with unique networking opportunities, and a world-class tradeshow of industry product and service providers guaranteed to provide exceptional value in three fastpaced, activity-packed days. FUDUCIARY LIABILITY | FEATURE focused on shifting fiduciary liability, whether in general, or for specific, final appeal functions. Like the Roadrunner fleeing from Wylie Coyote, the average TPA will run from this liability shift as quickly as its TPA legs will allow often losing business in the process. But, can any liability-conscious business person fault a TPA for answering “no” to this new and frightening RFP question? Absolutely not – the TPA’s hesitance is valid and understood. As if it was not difficult enough for TPAs to field this fiduciary transfer question on 88% of the RFPs coming through the door, the rapid growth of self-funding is now necessitating even more RFPs, thus dramatically increasing the demand for this transfer of fiduciary liability. From the end of 2013 through the first six months of 2014, the number of lives covered by a self-funded health plan grew by approximately 4 million while the fully-insured platform saw a decline of approximately 5 million lives. It goes without saying that new self-insured lives equal new health plans which equal new plan-sponsors submitting RFPs, which RFPs, very likely, ask, “will you, pretty, pretty please, assume fiduciary liability for my health plan?” As noted above, this question will routinely be answered in the negative. A gap exists. When a consumer becomes aware of a gap in service, the consumer will routinely shy away from those service providers unable to cure the gap. This results in lost business and another study performed by The Phia Group reveals that lost business is not good. In other fields, examples of a service gap leading to lost business can tend to seem ridiculous with so many solutions readily apparent to all involved. If a house painter refuses to include clean up in his painting services, the savvy home owner will choose a different house painter. A landscaper is not willing to include lawn fertilizing in her service offering – so the reasonably selective consumer will go with a different landscaping contractor. An auto mechanic does not offer a courtesy shuttle to drive his customers to/from his garage while he works on their cars – and the average consumer will look elsewhere for better service. No business owner should allow business to walk away when the reason behind the customer’s departure is so easily fixed. Fiduciary Service Gap Solutions and the Move Forward The plan administrator has a handful of options when considering the fiduciary service gap. ©2015 BenefitMall. All rights reserved. GuardianAnytime.com The Guardian Life Insurance Company of America®,(Guardian) 7 Hanover Square, New York, NY 10004. GUARDIAN® and the GUARDIAN G® logo are registered service marks of The Guardian Life Insurance Company of America and are used with express permission. n October 30, 2015, the Equal Employment Opportunity Commission (EEOC) published proposed rules on the Genetic Information Nondiscrimination Act of 2008 (GINA) (the “Proposed Rules”). The Proposed Rules provide clariﬁcation about what incentives may be offered to spouses under employer-sponsored wellness programs without violating GINA. The Proposed Rules follow 2013’s HIPAA wellness rules2 and the EEOC’s proposed wellness rules under the Americans with Disabilities Act (ADA) from April 20153 and add yet another layer of complexity for employer-sponsored wellness programs. The proposed ADA wellness regulations left some question as to the permissibility of offering incentives for spousal participation in a wellness program. These Proposed Rules clarify that GINA does not prohibit employers from offering limited inducements (either rewards or penalties) if covered spouses pro-vide information about their current or past health status, as long as certain requirements are met. Among other things, the Proposed Rules require that the provision of information must be voluntary and that the individual provide prior, knowing, voluntary and written (including electronic) authorization. This Article discusses the background of GINA and the highlights of the Proposed Rules for employer-sponsored wellness programs. Background: What is GINA? Title II of GINA, which is the focus of these Proposed Rules, is designed to protect employees from discrimination based on their genetic information.4 While the full scope of GINA is beyond the scope of this Advisory, it generally prohibits the use of genetic information in employment; restricts employers from requesting, requiring, or purchasing genetic information, except in very limited circumstances; and places strict limits on disclosure of genetic information. “Genetic information” is broadly defined under GINA and includes, for example, information about the genetic tests of an individual or a family member (including blood relatives and spouses) and family medical history, including the manifestation of disease – i.e., health status. One of the limited exceptions in which employers can acquire genetic information is as part of voluntary wellness programs, as long as certain requirements are met. The Proposed Rules provide much-needed guidance about the scope of this exception. Overview of the Proposed Rules Under the Proposed Rules, employers may offer inducements to enrolled spouses to provide their medical history through a medical inquiry or exam, as long as certain requirements (discussed more fully below) are met. While some of these requirements, if finalized, may prove burdensome, the rules are not as stringent as they could have been. For instance, employers can use 30% of the family rate of coverage (under certain circumstances), which was not clear from the EEOC’s proposed ADA regulations. (See our prior Advisories for a discussion of the 30% limit, as interpreted under HIPAA and the ADA). Employers also now have guidance regarding when spouses may participate in wellness programs that collect information about current or past health status and clear guidance that inducements cannot be made for a covered child’s medical information. The new requirements that employers must address before offering an incentive for spousal participation are discussed below.5 Employers may acquire genetic information as part of a wellness program only when the program is reasonably designed to promote health or prevent disease. The program must have a reasonable chance of improving the health of, or preventing disease in, participating individuals and must not be burdensome, a subterfuge for violating the law, or highly suspect in the method chosen to improve health or prevent disease. This language should be familiar to employers, as there is similar language in the HIPAA wellness regulations and proposed ADA wellness regulations. While the Proposed Rules provide some examples, whether a wellness program meets this threshold will ultimately be a fact-specific inquiry. We’re of We’re proud proud of our our mileage. mileage. To Tolearn learnmore, more, visit visit www.symetra.com www.symetra.com or orwww.symetra.com/ny. www.symetra.com/ny. Stoploss, loss,filed filedasasthe theExcess ExcessLoss Losspolicy, policy,isisinsured insuredby bySymetra SymetraLife LifeInsurance Insurance Company, Company, 777 108th Avenue NE, Stop NE, Suite Suite 1200, 1200,Bellevue, Bellevue,WA WA98004. 98004.InInNew NewYork, York,stop stoploss, loss,filed filedasasthe theExcess ExcessLoss Loss policy,is isinsured insuredbybyFirst FirstSymetra SymetraNational NationalLife LifeInsurance InsuranceCompany Companyofof New New York, York, New New York, NY. Mailing address: policy, address: P.O. P.O. Box Box 34690, 34690,Seattle, Seattle,WA WA98124. 98124.Twelve Twelveyears yearsofofstop stoploss lossforforFirst FirstSymetra Symetra National Life Insurance Company of New York. National Life Insurance Company of New York. ® ® is a registered service mark of Symetra Life Insurance Company. Symetra Symetra is a registered service mark of Symetra Life Insurance Company. Employers may need to incorporate new steps to meet these requirements (e.g. a spouse may have to log on and verify receipt of the various notices and authorization to proceed before providing any health information during an HRA). In addition, under these rules, a wellness program would have to be designed to include questions about health status, not genetic information. Under the Proposed Rules, it does not matter whether such request is benign. For example, an HRA could not include an inducement for questions about genetic markers for BRCA, even if the employer was merely intending to offer a fuller picture of the individual’s health and risk of future illness. Notably, the Proposed Rules state that an “inducement” includes financial and in-kind rewards, including time-off awards, prizes and other items of value (either rewards or penalties) – all of which would count toward the 30% cap. Open Questions One point on which many plan sponsors would have liked clarity is GINA’s application to a spouse’s use of tobacco products. Under the proposed ADA regulations, the EEOC stated that it would not treat a re-quest regarding an employee’s tobacco use to be a disability related inquiry for purposes of the ADA, but any medical test or examination would be considered such an inquiry. Here, it is not clear whether a re-quest for a spouse’s tobacco use status would be treated similarly for purposes of GINA, or would be subject to the 30% limit. In addition, the EEOC did not discuss how limits are calculated if the wellness program is not part of a group health plan. Clarity on these points in the final regulations would be welcome. ■ The Affordable Care Act (ACA), the Health Insurance Portability and Accountability Act of 1996 (HIPAA) and other federal health beneﬁt mandates (e.g., the Mental Health Parity Act, the Newborns and Mothers Health Protection Act and the Women’s Health and Cancer Rights Act) dramatically impact the administration of self-insured health plans. This monthly column provides practical answers to administration questions and current guidance on ACA, HIPAA and other federal beneﬁt mandates. Attorneys John R. Hickman, Ashley Gillihan, Carolyn Smith and Dan Taylor provide the answers in this column. Mr. Hickman is partner in charge of the Health Beneﬁts Practice with Alston & Bird, LLP, an Atlanta, New York, Los Angeles, Charlotte and Washington, D.C. law ﬁrm. Ashley Gillihan, Carolyn Smith and Dan Taylor are members of the Health Beneﬁts Practice. Answers are provided as general guidance on the subjects covered in the question and are not provided as legal advice to the questioner’s situation. Any legal issues should be reviewed by your legal counsel to apply the law to the particular facts of your situation. Readers are encouraged to send questions by email to Mr. Hickman at john.hickman@alston.com. References Stacy Clark, Esq. an associate in Alston & Bird’s Atlanta ofﬁce assisted with the preparation of this article. 2 www.alston.com/ﬁles/Publication/f88638f79114-4d35-b0ac-b8247b4a0da3/Presentation/ PublicationAttachment/eff6f36f-eab1-40f0-a024ca20ace1b11c/13-801%20ACA%20Update.pdf 3 www.alston.com/ﬁles/Publication/124fff92fc6a-4e00-a2e5-34ddb49387c6/Presentation/ PublicationAttachment/54a3750d-245b-4be3-943935869137fee2/G-15-286%20Wellness%20Programs%20 Gut%20Check.pdf 4 Title I, which is not at issue here, addresses nondiscrimination in health insurance (including group health plans and insurers). 5 While the Proposed Rules are not limited to wellness programs, this Advisory will focus on their application to employer-sponsored wellness programs. A CONTRACT IS A LEGAL DOCUMENT. A TRUE PARTNERSHIP IS SO MUCH MORE. Our experience, innovation and track record are only meaningful if we are able to help our clients. We will listen carefully to your goals and challenges and leverage our deep and varied resources to deliver a customized solution that meets your needs. review of the reported ﬁnancial results of risk retention groups (RRGs) reveals insurers that continue to collectively provide specialized coverage to their insureds. Based on third quarter 2015 reported ﬁnancial information, RRGs have a great deal of ﬁnancial stability and remain committed to maintaining adequate capital to handle losses. It is important to note that ownership of RRGs is restricted to the policyholders of the RRG. This unique ownership structure required of RRGs may be a driving force in their strengthened capital position. surplus 65.8%. This increase represents the addition of over $1.8 billion to policyholders’ surplus. These reported results indicate that RRGs are adequately capitalized in aggregate and able to remain solvent if faced with adverse economic conditions or increased losses. Liquidity, as measured by liabilities to cash and invested assets, for third quarter 2015 was approximately 68.8%. A value less than 100% is considered favorable as it indicates that there was more than a dollar of net liquid assets for each dollar of total liabilities. This also indicates an increase for RRGs collectively as liquidity was reported at 66.4% at third quarter 2014. This ratio has improved steadily each of the last five years. higher the ratio of loss reserves to surplus, the more an insurer’s stability is dependent on having and maintaining reserve adequacy. Regarding RRGs collectively, the ratios pertaining to the balance sheet appear to be appropriate and conservative. surplus ratio greater than 300% would subject an individual RRG to greater scrutiny. In certain cases, premium to surplus ratios in excess of those listed would be deemed appropriate if the RRG had demonstrated that a contributing factor to the higher ratio is relative improvement in rate adequacy. In regards to RRGs collectively, the ratios pertaining to premium written appear to be conservative. Catastrophic medical claims aren’t just a probability — they’re a reality. As a Captive Director, Risk Manager, VP of HR or CFO, QBE’s Medical Stop Loss Reinsurance and Insurance can help you manage those benefit costs. With our pioneering approach to risk and underwriting, we make self-insuring and alternative risk structures possible. QBE and the links logo are registered service marks of QBE Insurance Group Limited. Coverages underwritten by member companies of QBE. © 2015 QBE Holdings, Inc. Regarding RRGs collectively, the ratios pertaining to income statement analysis appear to be appropriate. Moreover, these ratios have remained fairly stable for each of the last five years and within a profitable range. Douglas A Powell is a Senior Financial Analyst at Demotech, Inc. Email your questions or comments to dpowell@ demotech.com. 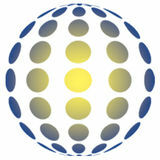 For more information about Demotech visit www.demotech.com. How are you going to manage your Specialty Pharmacy Utilization in 2016? Don’t waist money down the drain! ARMSRx delivers cutting edge clinical strategies and management solutions to uncover savings without augmenting patient care. t is a great honor being elected Chairman of the Board of SIIA and I will do my best to uphold the tradition of the great leaders that have preceded me. This is an extraordinary opportunity to give back some of the beneﬁts that SIIA membership has given me throughout the years. I would like to thank the outgoing board members for their dedication and service. With the holiday season behind us it’s time for everyone to get back to work. This is certainly true at SIIA, where we have a busy year ahead of us, with numerous educational and networking events ahead in 2016, that every member will find of great value. AND A COLLABORATIVE CULTURE TO HELP YOU SUCCEED. Just having group benefits expertise is not enough. At AmWINS, we have taken specialization one step further by creating a practice that enables our team of specialists to collaborate with one another quickly, helping you give the best options to your self-funded clients. That’s the competitive advantage you get with AmWINS Group Benefits. SPECIALIZING IN GIVING YOU MORE. ÂŠ Self-Insurersâ&#x20AC;&#x2122; Publishing Corp. All rights reserved. WHAT MAKES A LEADER IN HEALTHCARE COST MANAGEMENT? At PHX, we offer a comprehensive solution that is tailored to fit your business â&#x20AC;&#x201C; take advantage of our comprehensive suite of cost-management Products, enjoy the benefits of outstanding Performance, and together we will build a long-term Partnership. Contact us at (888) 311.3505 to find out how PHX can add value to your business, or visit us online Copyright 2014 Premier Healthcare Exchange, Inc. All Rights Reserved.